Okay, so I’m sure everyone is about to ask what kind of chopped and stretched Land Rover I’ve unearthed today. 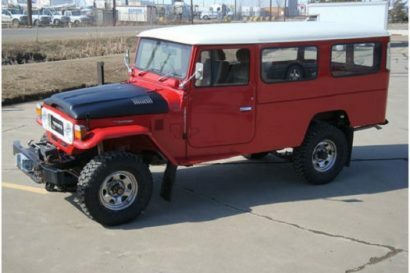 Admittedly when I initially saw this truck I couldn’t believe someone would cut apart a Defender 130 like this, but a little research revealed that it wasn’t in fact aftermarket, but a rare factory built truck. 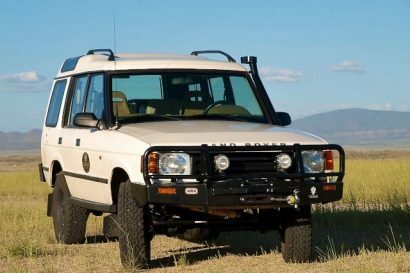 After the Defender 90,110,130,145 and finally 147, Land Rover decided to really go all out and install a bed onto the 147 adding an additional 10 inches to the overall length. Thus, the Defender 157 was born. This particular one features six doors, a fiberglass truck cap, racing seats, and in case you’re feeling too reserved… zebra stripes. Although it was produced in 1985, this truck appears to be in fantastic shape for its age thanks to the restoration it underwent in 2001. During the process a new bulkhead was installed followed by new floors, a new rear cab, and six brand new doors. 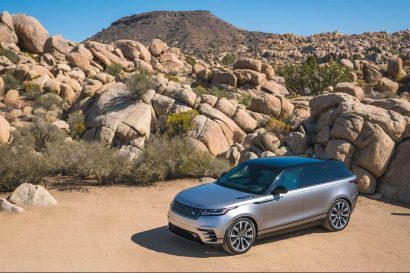 The owner then moved on to upgrading performance and range by installing a 2.8 TGV turbo-diesel engine, which is similar to the 300 Tdi but with more displacement, an Ashcroft automatic gearbox, and a 53-gallon auxiliary fuel tank for those extended hauls. Finally they wrapped up the interior with four Recaro racing seats for the first and second rows and a refinished bench seat for the third. 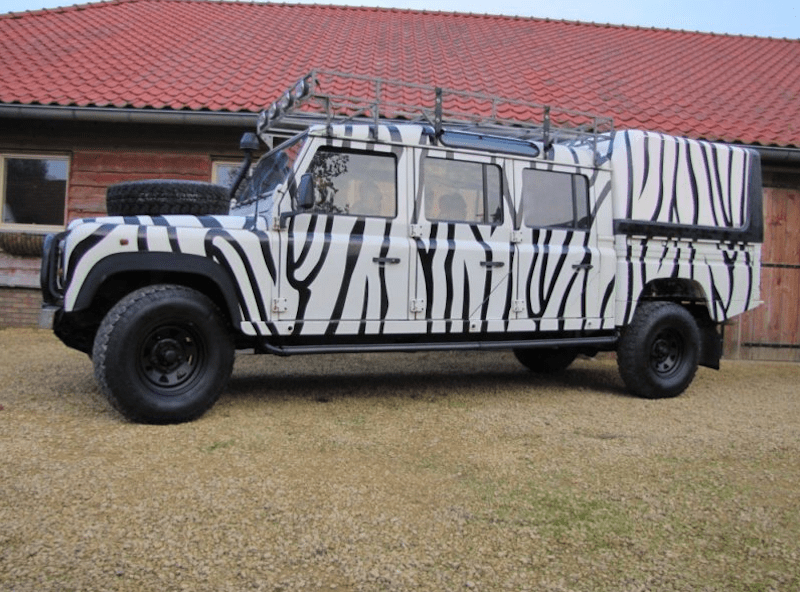 Whether you need a high capacity overland truck, want the largest Defender around, or simply wish to blend into a herd of Zebra, this Rover deserves a look. 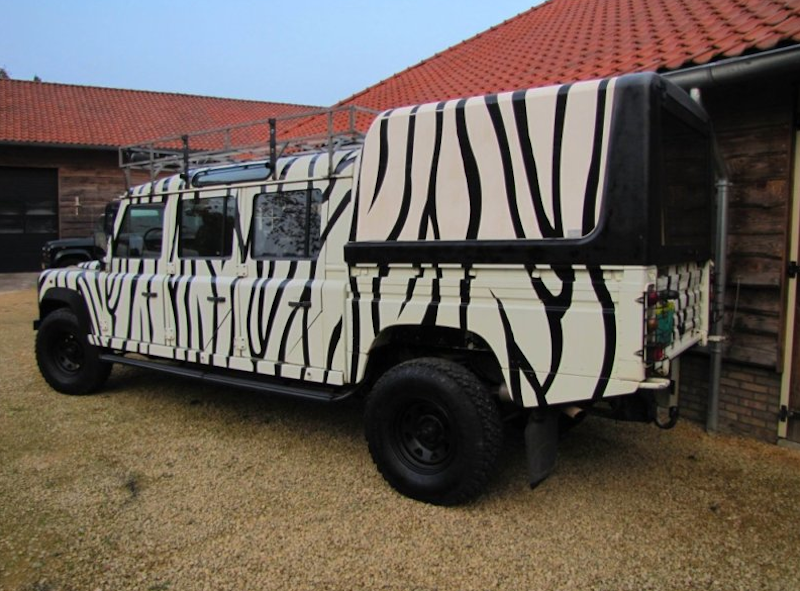 Very rare Landrover Defender 157 double cab with 6 doors,factory LHD version. Date of production according to the Landrover Factory Archive Department 28th March 1985, first registered on 29 Jan 1988. We have been known for our Landrover exports to the US, but this truck has too many modifications and might not enter the US. Note the vehicle´s location is the Netherlands, we can ship to RORO ports in Canada for around $ 1650. You will have to arrange collection from port, get a custom broker to do the importation for you. This vehicle is in very good condition, it is restored in 2001 with new bulkhead, new floors, 6 new doors, new rear cab, chassis fully cleaned and coated in POR 15 and in excellent rust free condition. 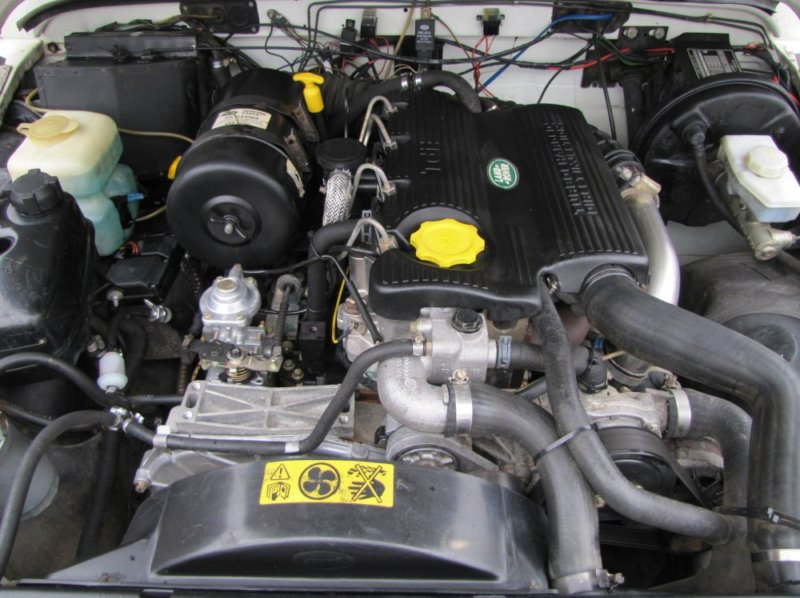 In 2003 fitted with a brand new 2.8 TGV engine, identical to the LR 300 Tdi but more displacement and a larger turbo producing more power (145 bhp) , also fitted in 2003 is a Ashcroft Automatic ZF gearbox , total package, engine and gearbox have now done 30.000 miles. Interior has 2 cloth elecric Recaro seats on the 1st row, 2nd row are 2 leather Recaro seats, 3rd row is a bench seat. Underneath the 3rd bench seat is a 53 gallon additional Diesel tank. Galvanised roofrack with spots, fibreglass hardtop cover on the pick up bed.